London Business School and DD Consulting collaborate to research the idea that language related to space and motion can shape how we think about the future and influences how aggressively executives pursue M&A activity. Dr Donal Crilly’s research interests include stakeholder theory, managerial cognition, and intertemporal choice. His work has been published in journals such as the Academy of Management Journal, the Strategic Management Journal, Organization Science, and the Journal of International Business Studies. 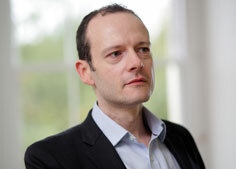 Currently Assistant Professor of Strategy and Entrepreneurship at London Business School, Donal Crilly is an editorial board member of the Academy of Management Journal, the Strategic Management Journal and the Journal of International Business Studies. He is an ad-hoc reviewer on several other prominent business publications. Please contact us if you would like to discuss the research or be involved in future M&A research.